Research found youngsters in the north of England are the nation's smartest young drivers, but overall older drivers reign supreme on the road. Drivers aged 50-65 from the Midlands have been judged to be Britain's "smartest" - displaying the most fuel efficient and safe driving behaviours - while people aged 18-30 from Wales and the South West are more like driving dunces, new research claims. Youngsters in the north of England are the nation's smartest young drivers, but overall older drivers reign supreme on the road. 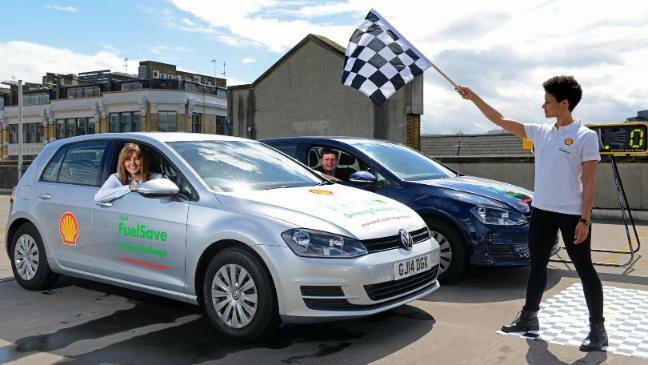 The Shell FuelSave Smarter Driving research ranked young (aged 18-30) and older motorists (aged 50-65) on their 'smart' and 'not-smart' driving behaviours towards fuel efficiency and safety - everything from smooth driving to wearing appropriate footwear behind the wheel. More than half (57%) of young motorists believe they are better drivers than anyone else on the road, but almost two thirds admit to driving with one or no hands on the wheel (59%) and accelerating through amber lights (56%), compared to a third of older drivers (34% and 32%). Almost twice as many young motorists also wear inappropriate footwear while driving. Furthermore, a third of young drivers (33%) confessed to using their mobile behind the wheel, as opposed to just 5% of their older counterparts. Older drivers are also more fuel efficient, making a conscious effort to drive smoothly (82% compared to 57% of young people), turn off the engine when idling (51% compared to 37% of young people), and remove excess weight from the boot (49% compared to 36% of young people). The research results have been released as University College London (UCL) students prepare for Shell Eco-marathon Europe - an annual competition challenging student teams to compete in ultra-energy-efficient vehicles they have designed and built themselves, which hits the streets of Rotterdam, the Netherlands, from 15-18 May 2014.